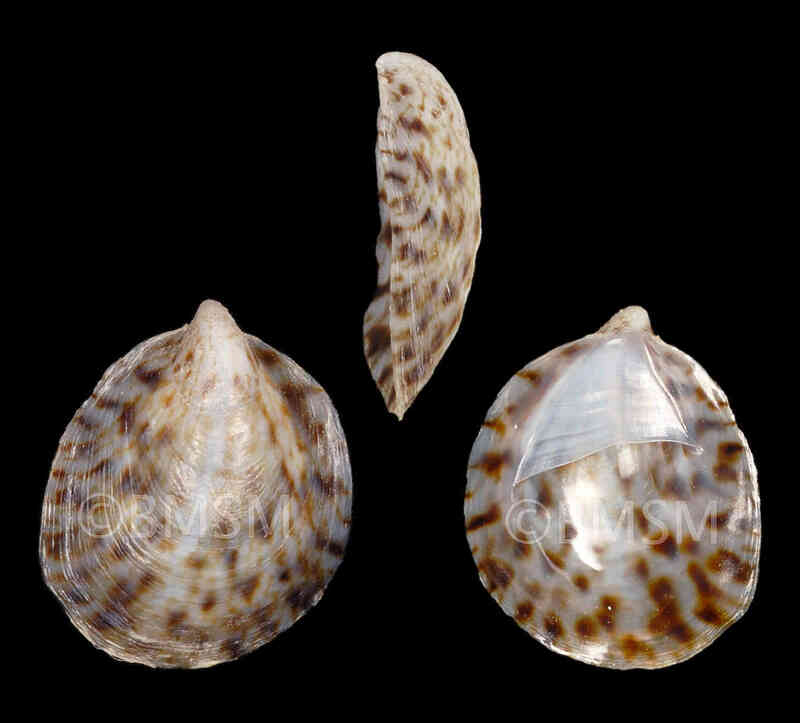 Shell size to 13 mm; shell ovate, thin for genus, convex. Shelf margin extending further forward on left side; shelf margin often slightly arched. Color cream-white, with distinct chestnut-brown spots or streaks, sometimes brown overall with darker spots. Shelf whitish. In contrast to its northeastern US counterpart, C. convexa, individuals in this species undergo a brief free-living larval stage (called pediveliger). 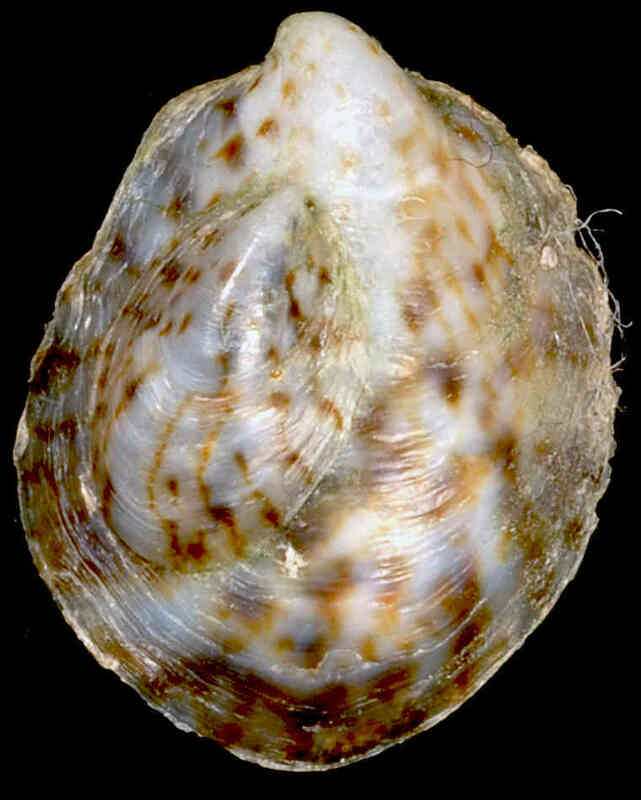 The specimen on the right possibly a female, has a smaller individual attached to its shell, possibly a male.